At the Cancer Center we recognize that learning you have cancer can be overwhelming. Our dedicated team of professionals works with patients and their loved ones from the time of diagnosis through completing their final treatment. 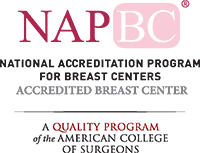 In addition, we collaborate with area hospitals, physicians, and other cancer care providers to ensure our patients have access to the most effective treatment options available, right here in our community. Radiation therapy is the treatment of disease using penetrating beams of high-energy waves or streams of particles called radiation. Radiation therapy is one of the most common treatments for cancer and is used in more than half of all cancer cases. Just as each patient is an individual, each patient’s cancer treatment needs are different. At the Cancer Center, we offer state-of-the-art radiation oncology treatment with equipment designed to deliver treatment quickly and effectively while reducing side effects. If you, or someone you know, is in need of radiation oncology treatment you may contact either your doctor’s office for a referral or our Patient Navigation staff at (509) 737-3432. They would be happy to help you secure a referral for service at the Tri-Cities Cancer Center. Managing life after a cancer diagnosis can be challenging. We know you worry about appointments, care options, family, work and just getting through the day. Our dedicated cancer care team is here to offer real help to you and your family. From radiation oncology to support services, we’ll take care of you. We are continuously adding new services for our patients. If you have a service or specific need you would like to see added, please feel welcome to contact our Resource Center at (509) 737-3432. 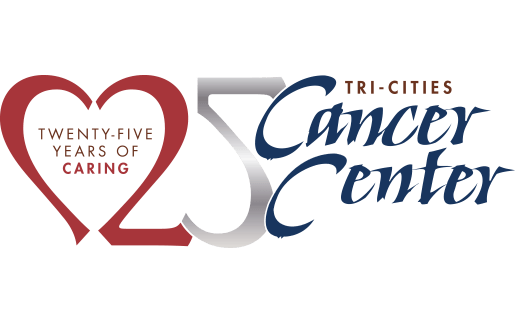 When a patient chooses radiation therapy at the Tri-Cities Cancer Center, care begins with a personalized treatment plan created by our on-site radiation oncology physicians. Once the plan is established, radiation therapy is administered each day by the Center’s radiation technologists. Throughout your treatment, care is a collaborative effort between Center staff, the on-site oncology physicians, and the patient’s other healthcare providers.